Everyone can participate in supporting CatholicTV for an upcoming “People’s Telly Award” for a humorous promotional. The promotional video depicts 2 Catholic school girls using an iPhone and being introduced to the CatholicTV iPhone application by a nun who at first glance appears angry and then who smiles and shows them her iPhone. The video can be viewed now by visiting: http://www.youtube.com/tellyawards?x=RrXTbkzy7NQ. Voting ends on June 11th. Viewers who wish to support CatholicTV can click on the “thumbs up” icon which appears after the video plays. The “Carry Your Faith” video is up for an award in 2 categories: “Use of Humor” and “Promotional Pieces”. The CatholicTV iphone application is free and can be found at the Apple “app” store. The app is called “CatholicTV” and allows users to watch daily Mass, keep up with Catholic news, and much more. More information is available at CarryYourFaith.com. During the month of June, CatholicTV will broadcast several Vatican events and Pope Benedict’s visit to Cyprus. This programming will begin with the Solemnity of Corpus Christi on June 3rd and will end with the Pallium Mass in St. Peter’s Basilica. June 3-Solemnity of Corpus Christi in the Basilica of St. John Lateran 8 p.m.
June 4-Arrival in Cyprus and ecumenical celebration Noon and 8 p.m.
June 5-Visit to the president and Mass in Cyprus Noon and 8 p.m.
June 6-Mass in Nicosia and farewell ceremonies Noon and 8 p.m.
June 28-Basilica of St. Paul’s Outside-the-Walls Vespers for the Solemnity of Sts. Peter and Paul 8 p.m.
June 29-Pallium Mass in St. Peter’s Basilica Noon and 8 p.m.
On June 4th, Bishop Thomas Tobin will appear in an interview on the live CatholicTV talk show “This is the Day”. Bishop Tobin will discuss his new book “Effective Faith” and the ideas and spirituality within the book. Katherine Haas of Catholic News Agency said of Tobin’s book, “Effective Faith isn’t a bombshell to the faithful, or even to the once-faithful or the not-so-faithful. Instead, it’s a nuts and bolts approach to being a Catholic. In an excerpt from the book, Tobin suggests that if you are faced with a dilemma where faith and work collide, “Quit your job and save your soul,” he advises. Bishop Thomas Tobin is a native of Pittsburgh, Pennsylvania. 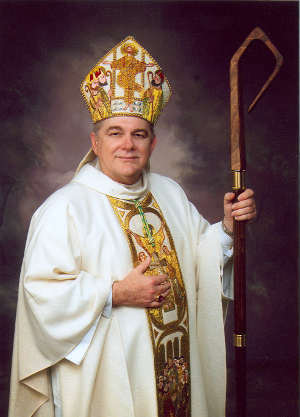 Bishop Tobin was named Auxiliary Bishop of Pittsburgh and Titular Bishop of Novica by Pope John Paul II on November 3, 1992. He was ordained to the Episcopacy on December 27, 1992. Bishop Thomas J. Tobin was installed as the fourth Bishop of the Diocese of Youngstown, on February 2, 1996. 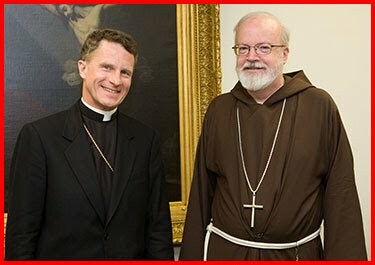 More information on “Effective Faith” and Bishop Thomas Tobin can be found at http://bishoptobin.com/. Proceeds from the sale of Effective Faith: Faith that Makes a Difference will benefit a number of charitable organizations throughout the Diocese of Providence. Bishop Tobin receives no royalties or profits from the sale of this book. 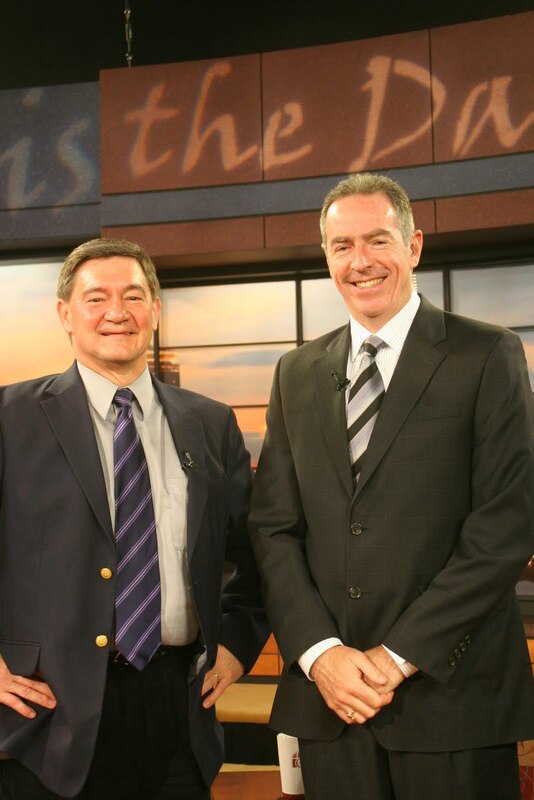 On June 1st, Jeff Cavins, will appear on the CatholicTV talk show “This is the Day”. Jeff Cavins is the director of the Archbishop Harry J. Flynn Catechetical Institute based in St. Paul, Minnesota. Jeff has been recognized both nationally and internationally as an exciting public speaker who has a deep love for Jesus Christ and who communicates his zeal with clarity and enthusiasm. Jeff will be a featured speaker at the upcoming National Catholic Bible Conference in Denver, Colorado. Over the past several years, Jeff has dedicated his life to developing The Great Adventure, the extremely useful and practical interactive Bible study system that enables students to understand the chronological flow of the Scriptures. Jeff received an MA in theology from Franciscan University of Steubenville. 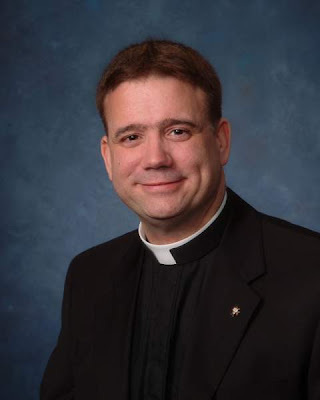 Jeff has written several books published through Ascension Press and is currently the President of the Great Adventure Company and the Director of the Archbishop Harry J. Flynn Catechetical Institute based at the St. Paul Seminary. The NCBC has been designed to equip you with the skills needed to read, understand, and proclaim Sacred Scripture. This annual event allows you to spend time with, and learn from, some of the most effective biblical scholars today as they share the keys to unlocking the riches of the Bible. On May 28th, Archbishop Timothy Broglio will be interviewed on the live CatholicTV talk show “This is the Day”. As Archbishop of the U.S. Military Services, Archbishop Broglio, along with several auxiliary bishops, oversees Catholic priests serving as military chaplains throughout the world. This is the Day airs live at 10:30AM ET at CatholicTV.com and on CatholicTV. The show is rebroadcast at 7:30PM. Archbishop Broglio is in charge of the spiritual, pastoral and sacramental care of the 375,000 Catholic active-duty U.S. military personnel and their 800,000 family members; 200,000 Catholics in the Reserves and National Guard; 30,000 Catholic patients in 172 Veterans Affairs hospitals; and 66,000 Catholics in government service overseas in 134 countries. Pope Benedict XVI named Broglio head of the Archdiocese for the Military Services, USA on November 19, 2007. The Archbishop was formally installed as such on January 25, 2008, at the Basilica of the National Shrine of the Immaculate Conception. The Archdiocese for the Military Services, USA, was established by Pope John Paul II in 1985 and incorporated under the laws of the State of Maryland that same year. The longer I remain a priest, the more I appreciate the priesthood and ironically not for all of the reasons I might have suspected years ago. As we conclude this Year for Priests, allow me to tell you a bit about my own experience as a way of revealing something most important about the Church to which we belong. The fact is, I have grown into my vocation and, as the years have passed, I’ve come to find hidden riches. I suspect this phenomenon is true of marriage and religious life as well as priesthood. I do hope that, in 25 years or so, if I’m still around, I will have uncovered many more hidden treasures about being a disciple of Jesus, a Catholic and a priest. It is nice to be surprised by life and our God truly is a God of surprises! How fortunate I consider myself and how excited I remain to be a priest. If you are reading these words and have ever considered whether God is calling you to be a priest, I definitely would give it a second and third thought. Honestly, many days I feel as if I was just ordained with new challenges always before me. Actually, one of my favorite things to do as a priest is to distribute Holy Communion in the parish. It is for me a distinct honor to give such a great Gift to such good people and by the grace of God to make them rich! When people come up to Communion there is an amazing interaction. You can sense the struggle on people’s faces as well as the joy in this privileged moment of contact with the divine. From one poor person to another we share the living God and together we become even richer in Faith! Saint James in his letter asks: "Did not God choose the poor in this world to be rich in Faith?" It really is true: those who are rich in Faith are the richest people indeed! It is one of the many incredible privileges of a priest to get to know many people at a very deep level, all the while remaining dedicated to all and no one person or small group in particular. In this capacity one sees the poverty of the human condition, the frailty that happily afflicts each one of us. And in this, one comes to recognize the need for God. As we near the conclusion of this year honoring the Priesthood, what a distinct honor it is for you and me to know Jesus Christ. We know Him by Faith; not by sight. If we see Him with our human eyes anywhere, it is in one another. If you were asked Who Jesus is, you would hopefully respond with great enthusiasm: "He is the Christ, the Son of the living God." And that sure belief is what makes us blessed beyond belief! God has given you and has given me many things and people and memories. But these pale in comparison next to our Faith in the One Who has saved us and called us to be everything that we were created to be. 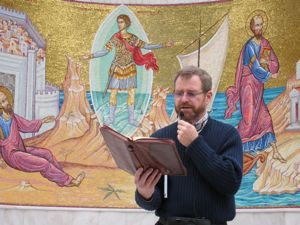 A new series on CatholicTV called “Living Your Faith” will air starting in June 2010 on CatholicTV. Living Your Faith is hosted by Emmy Award-winning broadcaster Jane Hanson. This new series (starts June 2010) takes a look at basic Catholic doctrine (using the Compendium of the Catholic Church) and shows practical ways the faith can be lived. Additionally, the series takes a look at the Order of Malta’s mission work with the poor and sick as an example of living out the Catholic faith by serving others. 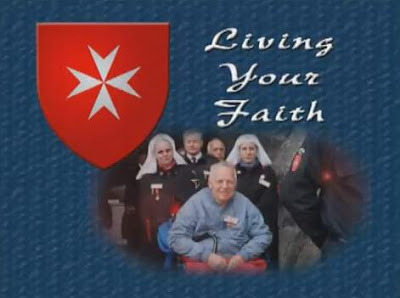 Living Your Faith is produced by the Order of Malta, American Association Education/Defense of the Faith Committee. The Order of Malta is one of the most ancient lay religious organizations of the Catholic Church. Living Your Faith covers key doctrinal themes of The Compendium in the light of four of the literally hundreds of charitable missions of the Order of Malta worldwide. The series features panelists from the Catholic University of America (CUA) School of Moral Theology and Religious Studies. On May 14, an interview with Bob McCarty, will air on the live CatholicTV talk show “This is the Day”. Bob is the Executive Director of the National Federation For Catholic Youth Ministry (NFCYM). In 2009, the NFCYM’s National Catholic Youth Conference in Kansas City attracted nearly 21, 000 participants from around the nation. Bob McCarty has been in professional youth ministry since 1973, serving in parish, diocesan, and community programs. 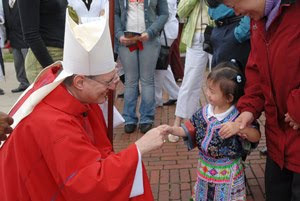 Prior to coming to the NFCYM, Bob ministered in the Archdioceses of Philadelphia and Baltimore. He continues to author resources for Catholic youth ministry and to provide training programs and presentations on ministry issues internationally. His recent books are Thriving in Youth Ministry and The Vision of Catholic Youth Ministry: Fundamentals, Theory and Practice through Saint Mary's Press and his newest book is Be A Champion for Youth: Standing With, By and For Young People, co-authored with his wife, Maggie. Bob has been involved with the NFCYM since 1986 when he was the (then) Region 14 coordinator. He served on the NFCYM Board of Directors for five years, and as chair of the board for two years. Bob has his BS in sociology and theology from St. Joseph's University and his MA in religious education from LaSalle University. Bob received his doctorate of ministry from the Graduate Theological Foundation in Indiana in May 1998. 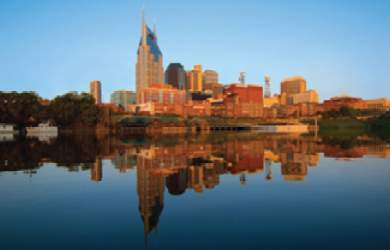 On May 15, CatholicTV will be a featured exhibitor at Springfest, a Catholic festival which will take place near Nashville, Tennessee. Springfest is a one-day Catholic conference featuring a list of renowned speakers and musicians including: musician Natalie Grant, the Most Reverend Celestino Migliore, titular Archbishop of Canosa, Italy. Archbishop Migliore functions as Apostolic Nuncio and Permanent Observer of the Holy See to the United Nations. He will be the keynote speaker at Springfest. • Julia Abueva, a child prodigy from the Philippines and a Sony recording artist. • Roisin Dempsey, who toured with the group Celtic Women. • Tim O’Neill, an Emmy nominated singer who has sold 2 million albums. On May 25, Kelly Herrmann, coach at Franciscan University in Steubenville (Franciscan) and co-author of the book “Coach Them Well” will be interviewed on the live CatholicTV talk show “This is the Day”. Kelly coaches women’s volleyball and basketball at Franciscan. Kelly has worked at Franciscan for over 20 years where her husband John also works. They have 6 children whom they home-school. 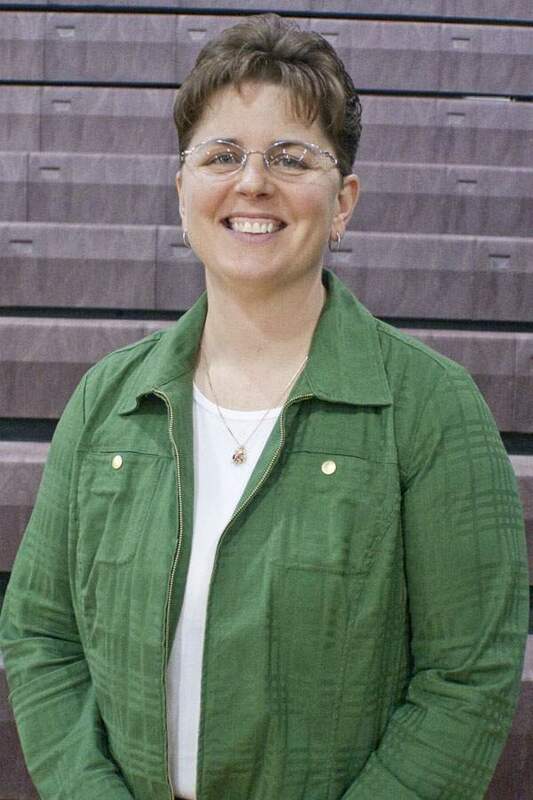 According to her book, “Kelly’s commitments as a wife, mother, teacher, coach, and mentor reflect her belief that God calls her and John to live their faith and share it in an evangelistic way with the students at Franciscan University”. Also on This is the Day will be Carolee McGrath, a reporter from the television magazine show “Real to Reel” which is Western New England’s longest running television magazine program. Carolee will discuss “Focus on Life” which is a popular segment on Real to Reel. Carolee will also discuss Respect Life education and pro-life music. Real to Reel explores a myriad of subjects from developments in the Church, politics, family life, human interest pieces, events in Western Massachusetts, and beyond. 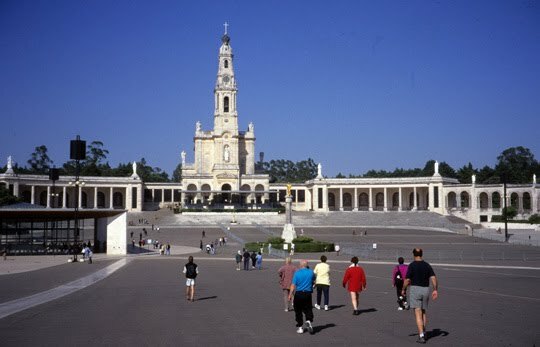 From May 11-14, CatholicTV will air coverage of Pope Benedict’s visit to Fatima, and the surrounding areas of Portugal. Our Lady of Fatima’s feast day is on May 13th. The Pope will visit Fatima 93 years after the “Miracle of the Sun” where tens of thousands of onlookers in Fatima witnessed the sun moving about in the sky as though it were “dancing” and radiating unusual colors. During the apparition people were asked to pray for peace and reconciliation for our world. Two of the child visionaries of Fatima have already been beatified. They are Blessed Jacinta and Blessed Francisco Marto- poor shepherd children from Fatima. 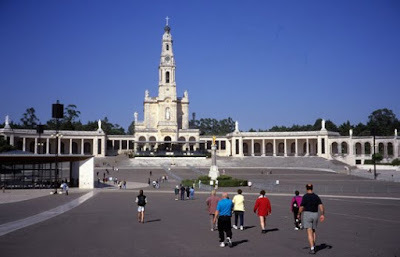 May 11 Mass in the “Terreiro do Paço” (Lisbon) 8 p.m.
May 12 Visit to the Chapel of Apparitions with vespers and rosary 8 p.m.
May 13 Mass on the Esplanade of the Shrine of Our Lady of Fátima Noon and 8 p.m.
May 14 Mass at Av. dos Aliados Square (Porto) Noon and 8 p.m.
Each week, CatholicTV airs a show called “A Closer Walk” hosted by Father Jeff Bayhi. Fr. Bayhi worked with Blessed Teresa of Calcutta for 7 years and administered the last rites to her. He was also a friend of Pope John Paul II and administered the last rites to the Pope after he had been shot. A Closer Walk features Fr. Bayhi discussing the faith and talking about real world examples of life and of living the faith. A Closer Walk intends to reach out to those who remain disconnected from the mainline church. A Closer Walk hopes to help viewers deal with the realities of day-to-day living by discussing real-world, everyday issues. The show aims to offer hope to viewers through reflections on the weekly Mass readings. Father Jeff Bayhi is a priest of the Diocese of Baton Rouge. He received his Doctorate in Pastoral Counseling from Graduate Theological Foundation in Donaldson, Indiana. Currently, Father Bayhi serves as pastor of St. John the Baptist Catholic Church in Zachary and its mission church, Our Lady of the Assumption in Clinton, Louisiana in addition to his role as President of Closer Walk Ministries. Father Bayhi has written several books including: "Then Comes the Morning" and "Paved with Souls", which was written on his experiences working with Mother Teresa and the Missionaries of Charity in Calcutta. He has also recorded a modern-day interpretation of Our Lord's Passion through the Stations of the Cross with world-renowned recording artist, Aaron Neville. The CD is entitled Doing it Their Own Way . On May 22nd, CatholicTV will air the Mass of Ordination from the Cathedral of the Holy Cross in Boston. The three men being ordained to the priesthood are Deacons Guy Sciacca, Daniel Moloney, and Gregory Vozzo. Cardinal Seán O’Malley described the transitional deaconate ordination of the same 3 men in his blog saying, “Though every ordination is a great blessing, this was certainly [a] small class for us. It was a visible reminder of the situation the Church was in six years ago. In fact, it is a testimony to the faith of these men that they had the courage to come forward, even at that very difficult time. 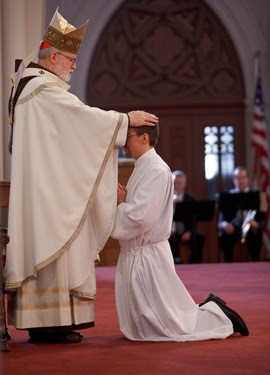 As I often say, following the Gospel is the ultimate counter-cultural action.” The transitional deaconate Mass took place earlier this year and also aired at CatholicTV.com and CatholicTV. The Ordination Mass on May 22nd will air at 9AM and will be rebroadcast at 8PM. It will be rebroadcast again on Sunday at 1PM. Before attending the seminary, Deacon Daniel Moloney, attended Yale University and received his doctorate from the University of Notre Dame. On May 11th, Bishop Jaime Soto of Sacramento California and Bishop Gregory Mansour of the Eparchy of Saint Maron of Brooklyn, New York will be interviewed on the live CatholicTV talk show “This is the Day”. In Rocco Palmo’s blog “Whispers in the Loggia” Palmo called Bishop Soto “the [Orange] auxiliary with an Ivy League pedigree, CNN face-time, a keen policy savvy and press-lauds for “tackling taboo topics”. 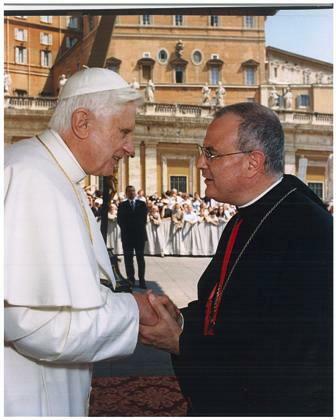 On October 11, 2007, Pope Benedict XVI named Bishop Jaime Soto as coadjutor bishop of the Diocese of Sacramento.While serving as Coadjutor Bishop, he served as Moderator of the Curia, Vicar for Hispanics and Other Ethnic Ministries, and represented many pastoral and civic groups. Bishop Soto will discuss the importance of youth gatherings and the National Catholic Youth Conference on This is the Day (the interview was pre-recorded in Washington, DC). On November 29, 2008, Bishop Jaime Soto became the head of the diocese upon the retirement of the Most Reverend Bishop William K. Weigand. Also, on This is the Day will be Bishop Gregory Mansour. 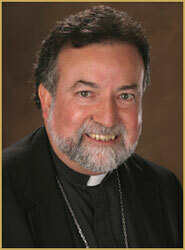 In January 2004, Pope John Paul II named Gregory Mansour Bishop of the Eparchy of Saint Maron of Brooklyn. Bishop Mansour currently serves on three committees of the United States Conference of Catholic Bishops: Pro Life, Catechesis, and Catholic-Oriental Orthodox Dialogue. He serves as the Secretary for Christian Arab and Middle Eastern Churches Together (CAMECT). He is also a member of the Maronite Synod of Bishops that meets every year in Lebanon. On May 7th, Fr. Larry Richards will be interviewed on the live CatholicTV talk show “This is the Day”. Fr. Richards is a well-known speaker, author, retreat master, and radio show host. Fr. Larry is a priest of the Diocese of Erie, Pennsylvania. He recently authored a book called “Be a Man”. In his book, he discusses masculinity and draws from his own experiences in ministry and his personal life. Fr. Larry will discuss some of the ideas from his book during his interview on This is the Day. May we all join in prayer and humble gratidude for the life and ministry of John Cardinal O'Connor of New York. 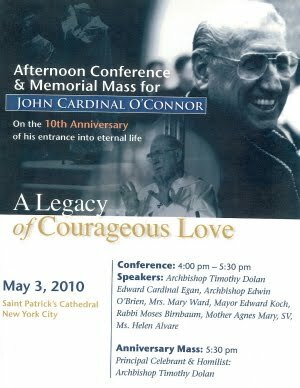 On May 3rd, 10 years ago today, Cardinal O'Connor passed away. He will be remembered today with a Conference and Mass taking place at St. Patrick's Cathedral," A Legacy of Courageous Love " as the Sisters of Life celebrate their Founder’s entrance into Eternal Life. Archbishop of New York Dolan is the principal celebrant and homilist, Cardinal Egan will preside, Archbishop O'Brien, many other bishops and priests will concelebrate. National Prayer for Life Campaign will be launched during this 10th anniversary Mass of Cardinal O'Connor's death. Join with Archbishop Timothy Dolan, the Sisters of Life and the Knights of Columbus in raising up a great prayer for life across our Nation. Eternal Father, Source of Life,strengthen us with your Holy Spirit to receive the abundance of life you have promised.Open our hearts to see and desire the beauty of your plan for life and love.Make our love generous and self-giving so that we may be blessed with joy.Grant us great trust in your mercy.Forgive us for not receiving your gift of lifeand heal us from the effects of the culture of death.Instill in us and all people reverence for every human life.Inspire and protect our efforts on behalf of those most vulnerable,especially the unborn, the sick and the elderly. We ask this in the Name of Jesus, who by His Cross makes all things new.